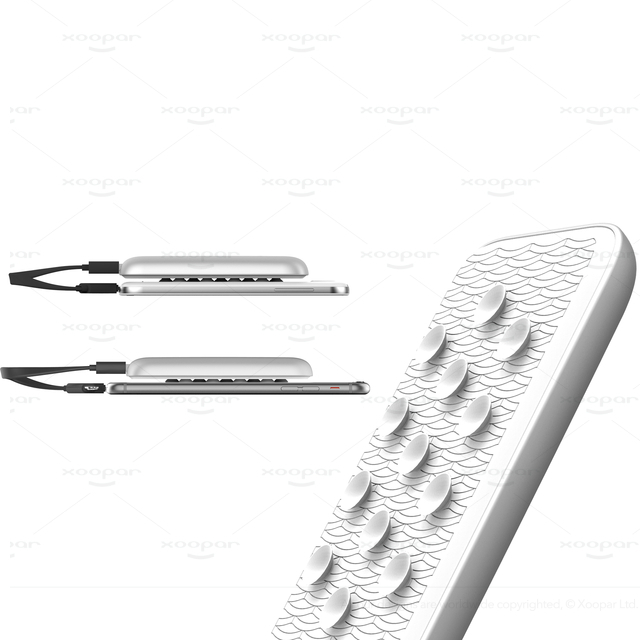 ● Super slim with premium suction cup. 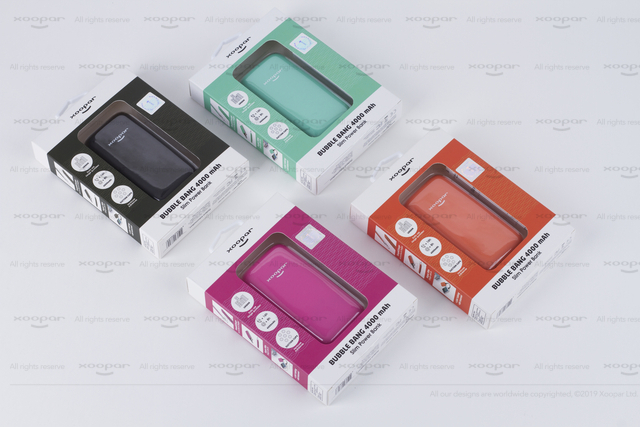 ● Pefect size without covering your camera. 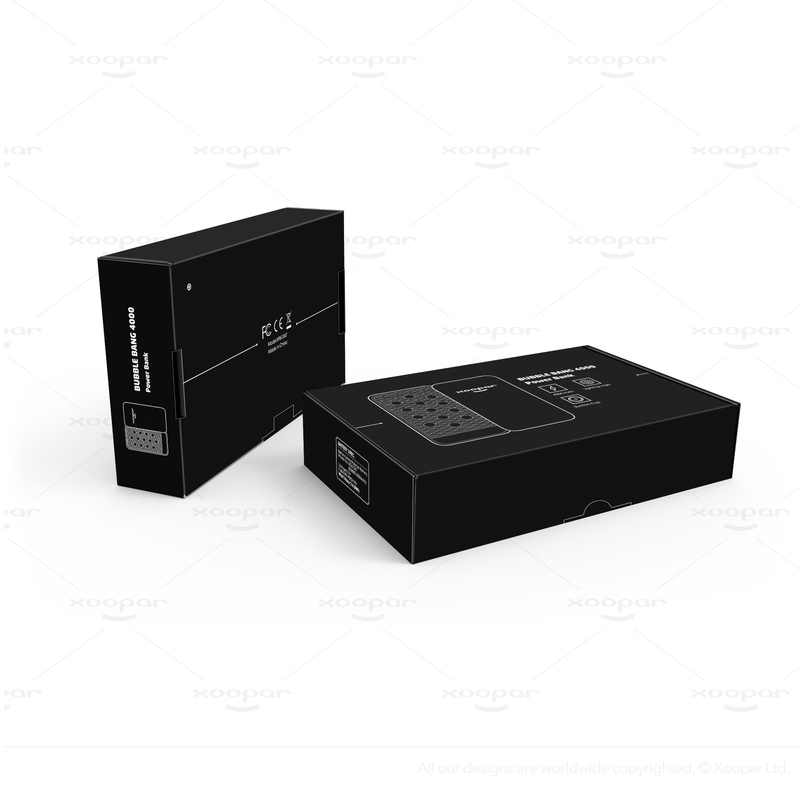 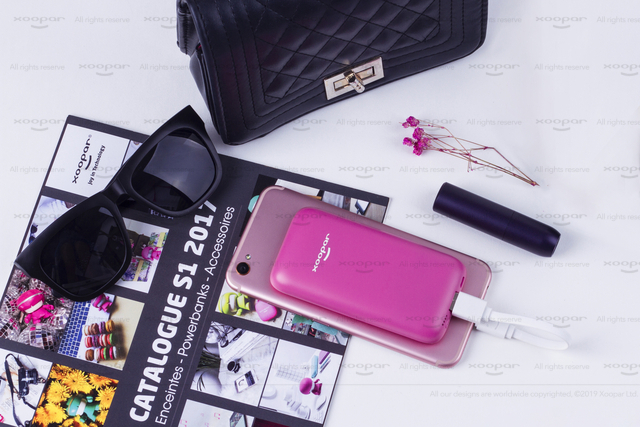 ● Cutting edge smooth design with rubber touch. 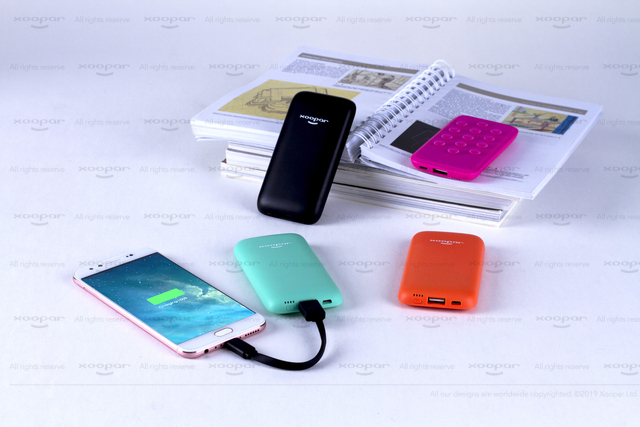 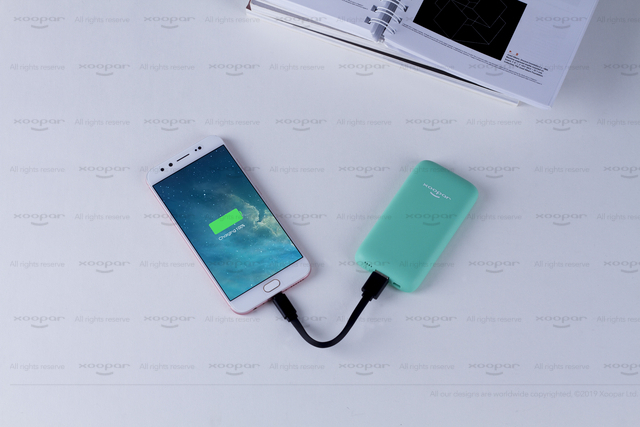 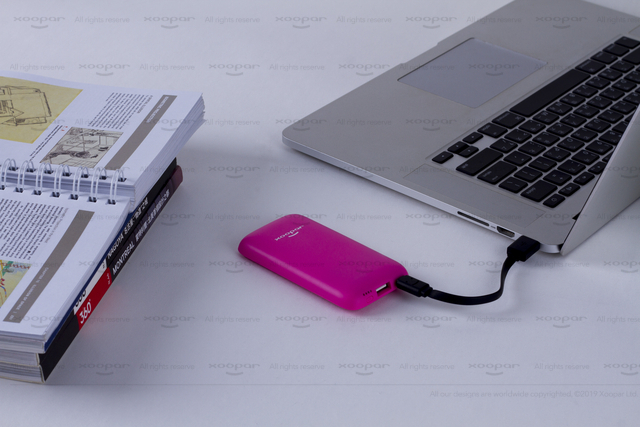 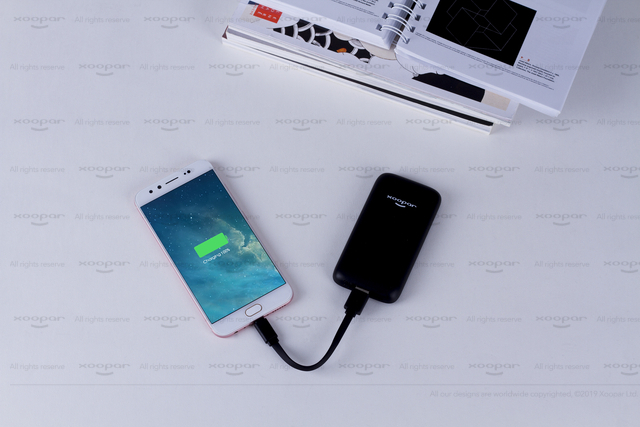 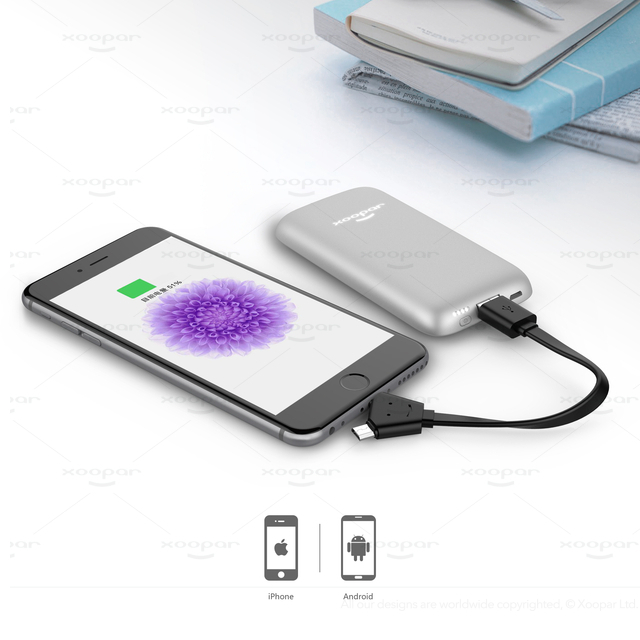 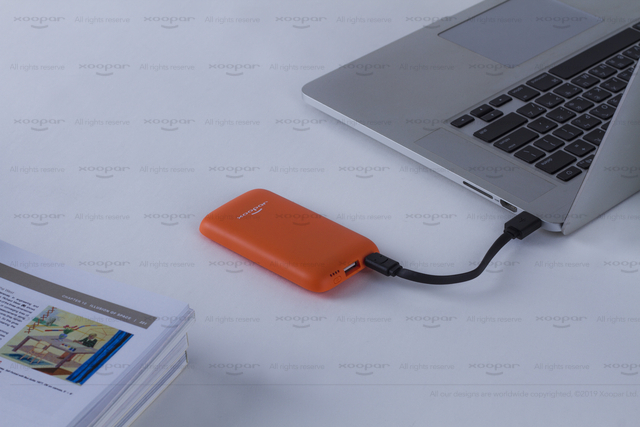 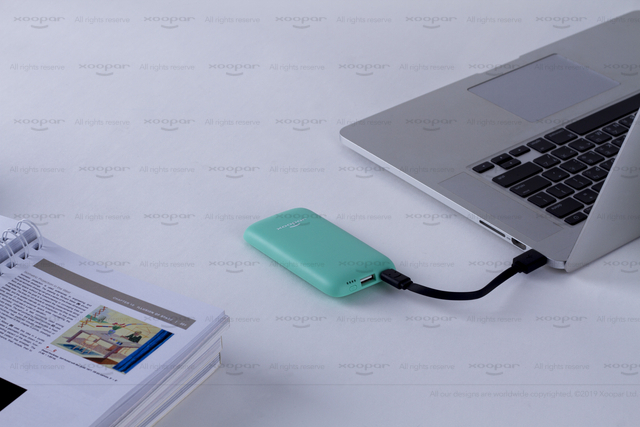 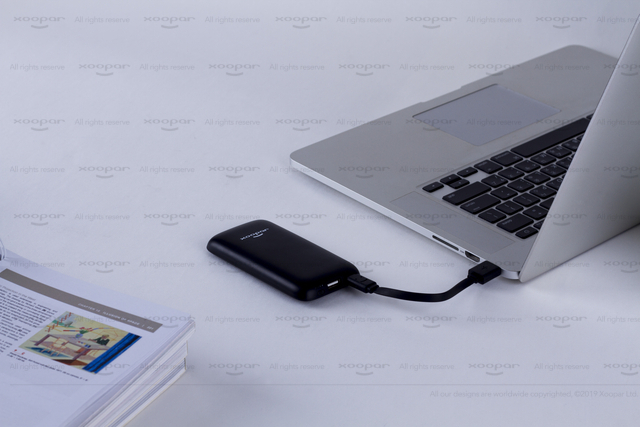 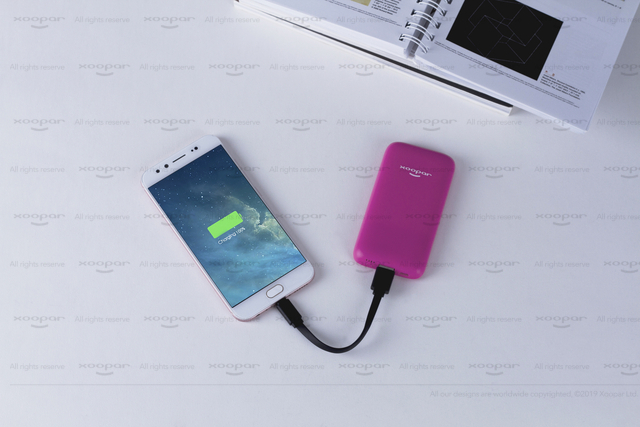 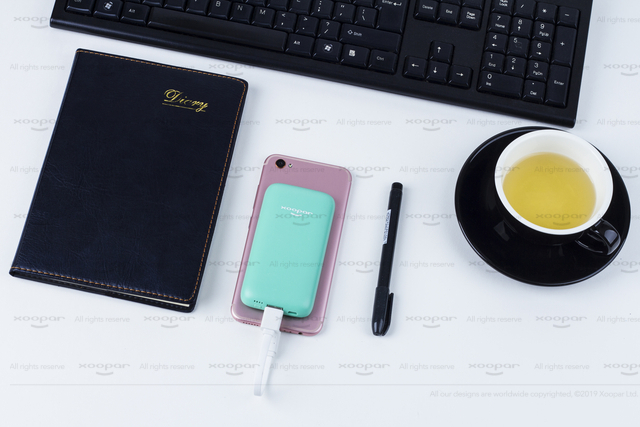 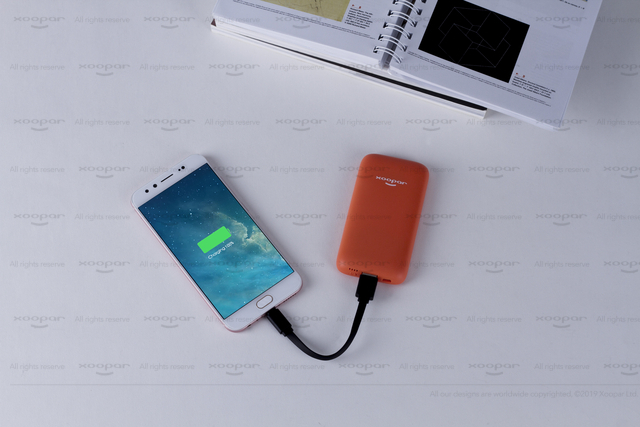 Day to day power bank that can charge up to 100 % of your smartphone. 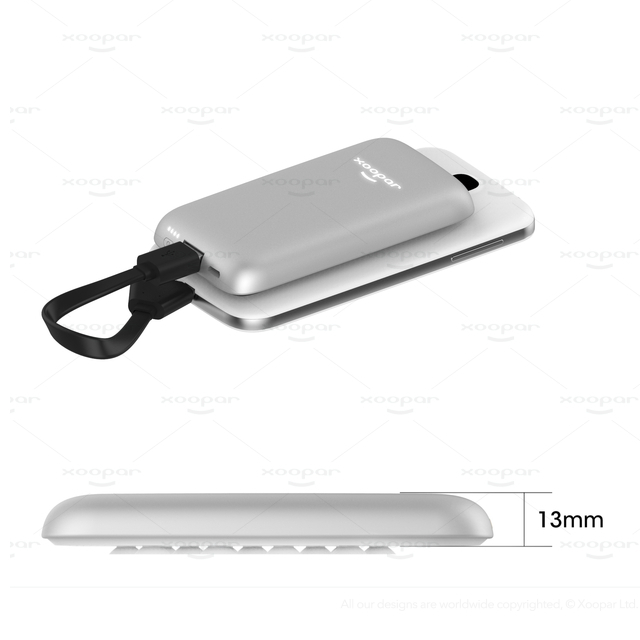 It merges with your device perfectly by smart suction cups on it's back so that you can carry and use it easily. 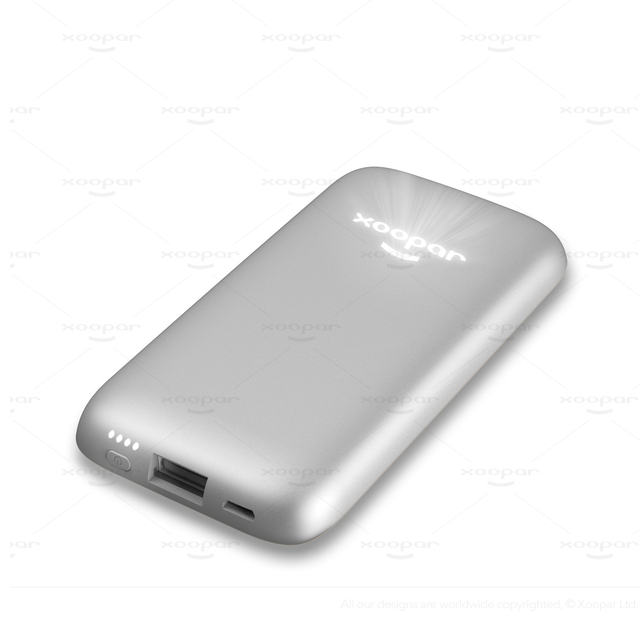 Size is perfect for handheld and height of the battery does not cover your camera lens.